These hand carved Japanese lanterns retain much of the beauty of natural stone. 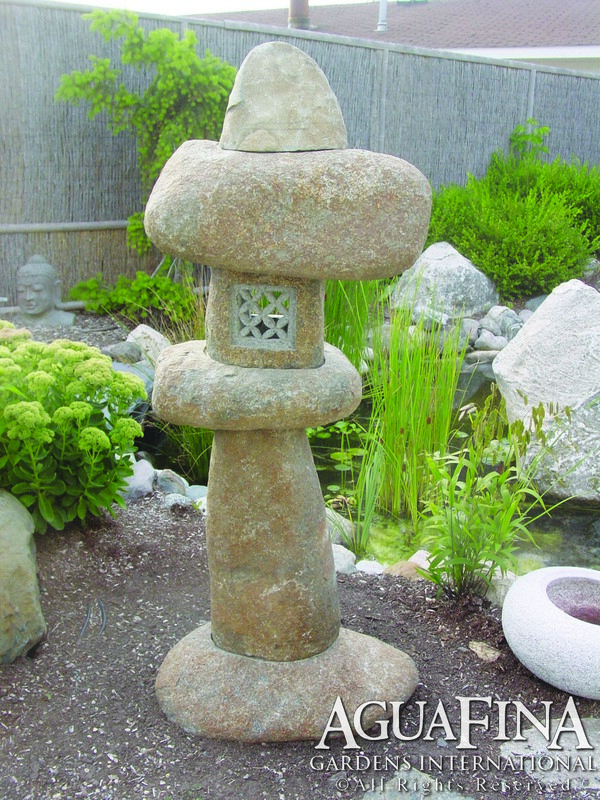 A lovely addition to any water garden and ideal for any Asian influenced garden design. Each price is one of a kind as the stones are left in a natural state and carved to balance perfectly with out altering the natural shapes and contours of the stone. Please Note: The lantern pictured is an example, each one of these pieces has a different look. Contact us for current inventory.